Will Avalon’s South Beach have more sand by next summer? City officials consider strategies to replenish the beach and stop the erosion. AVALON ― City officials in Avalon hope to bring sand back to South Beach by the summer of 2018. The beach, located on the southwest side of Avalon Harbor, has been losing sand for nearly 20 years. Avalon City Council authorized Michael Baker International to finalize details on funding prospects and the method in which sand will be returned and remain on the beach. A discussion on remedial methods for the sand erosion at Avalon’s South Beach occurred at the Oct. 17 Avalon City Council meeting nearly a month after the causes of the erosion were presented. The causes were two-fold as explained at the Sept. 19 meeting and previously reported by The Log. A current is created when Catalina Express is docked and running its engines in reverse. Waves reflecting off the seawall during storms in combination with the current cause the sand to move off the beach and deposit under Pleasure Pier. The possible solutions provided by MBI are two-fold as well. The first proposed step is to dredge about 5,000 cubic yards of sand from under Pleasure Pier and deposit the sand back onto South Beach. 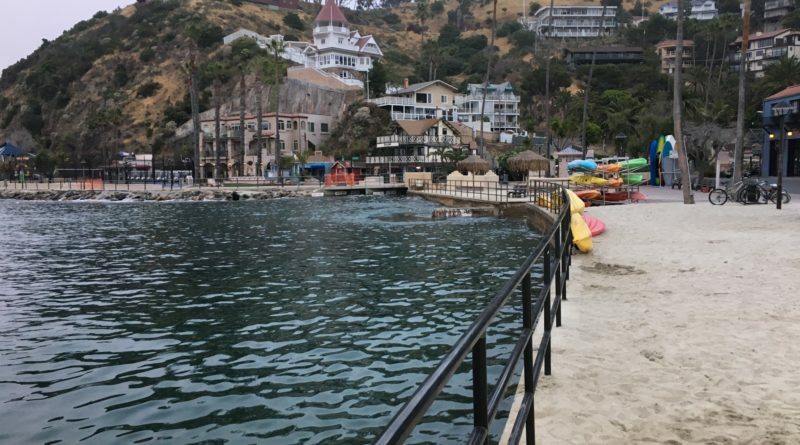 The next step would be to prevent the erosion from continuing by changing Catalina Express’ docking methods or building a 400 foot baffle wall west of Cabrillo Mole. The cost of dredging the sand and constructing a wall is projected to be $1.15 million. “Instead of looking into how to divert the water flow, maybe looking at how to stop it by using a land-based wench system. It would eliminate the sand being pushed under Pleasure Pier,” Caleb Lins, Avalon resident and owner of Lobster Trap, said to the council. “If we put something on the dock, then all the different passenger boats can use the same system without having to modify every boat. Mayor Ann Marshall agreed with Lins but pointed out the boats are only part of the problem. The council members were in consensus and approved “the City Manager to execute a contract amendment with MBI for the proposed scope…for the Avalon Harbor Sedimentation Analysis and Conceptual Remediation Study for a revised not-to-exceed total contract cost of $110,660,” as the staff report stated.